Want to live the resort lifestyle? 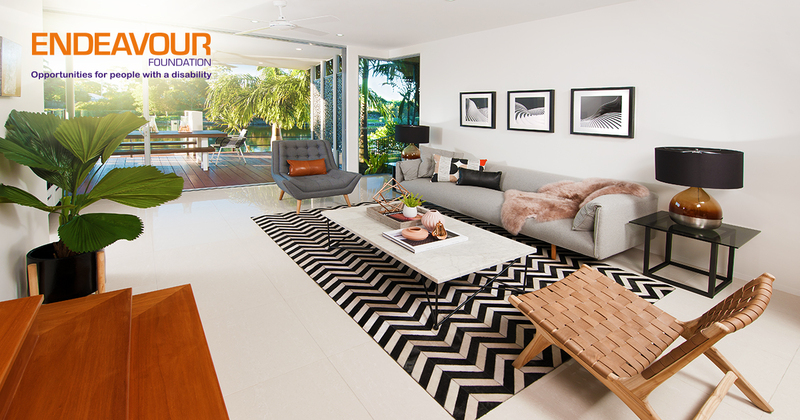 Then the latest Endeavour Foundation Lottery prize home is for you! 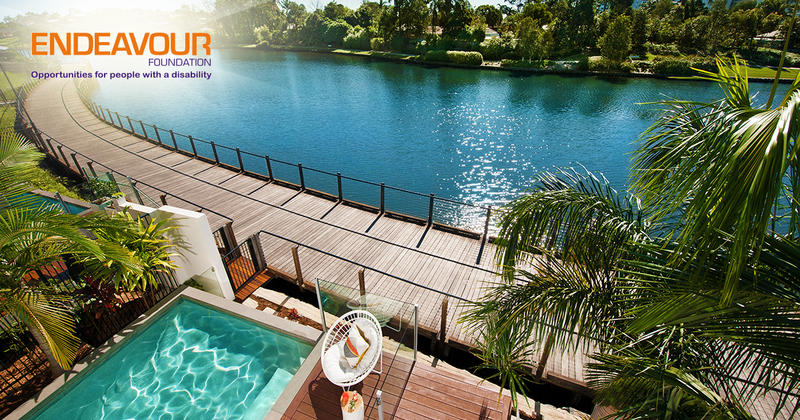 The luxurious double-storey home at Sunshine Cove, Maroochydore is located along a beautiful natural waterway with direct boardwalk access to acres of parks and walking trails – and it could be yours with a ticket in the new draw! Your stunning new home has been designed to suit the coastal lifestyle, offering open plan living, an expansive outdoor living area with swimming pool, and water views from the upstairs master bedrooms. Located just ten minutes from the Sunshine Coast’s most popular beaches and shopping centres, you’ll never be short of things to do. Assuming you can bring yourself to leave the house, that is! 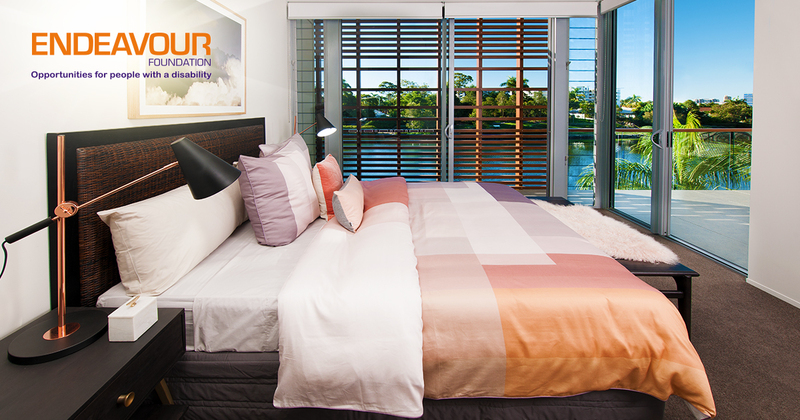 Your tickets in the Endeavour Foundation Lottery give you the chance to win this amazing prize, but they also help give people with a disability the opportunities they deserve. More than 3,300 people with a disability are currently being assisted across Queensland, New South Wales, Victoria, and South Australia through the tireless work of the Endeavour Foundation. After 65 years of service, the not-for-profit organisation now partners with like-minded business and communities across the country to support people with a disability along their life’s journey. Whether the goal is moving into a new home, gaining qualifications or education, or finding employment, Endeavour Foundation is there to assist. But they need your help! 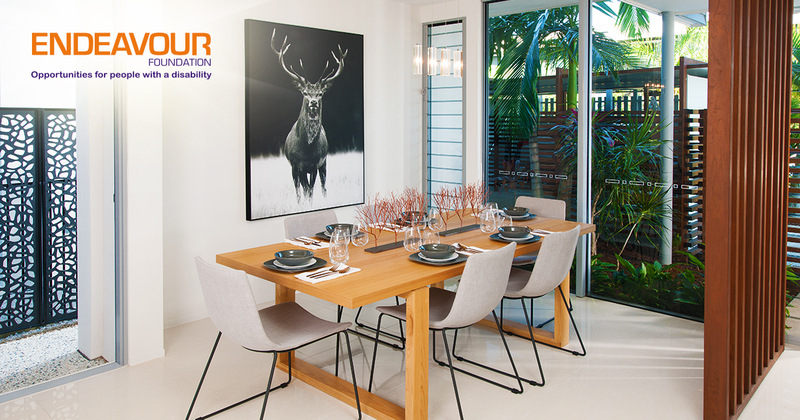 You can help support the efforts of Endeavour Foundation by donating, fundraising, volunteering, or buying a ticket in the prize home lottery. Funds raised from the Endeavour Foundation Lottery support the At Home With Choices program, which gives people with a disability the chance to experience community living and gain independence and life skills. The current Endeavour Foundation Lottery draw is now open and tickets are available online from Oz Lotteries. Tickets in the Endeavour Foundation Lottery start from only $10 for a single ticket and go up to $100 for a book of 30 tickets. 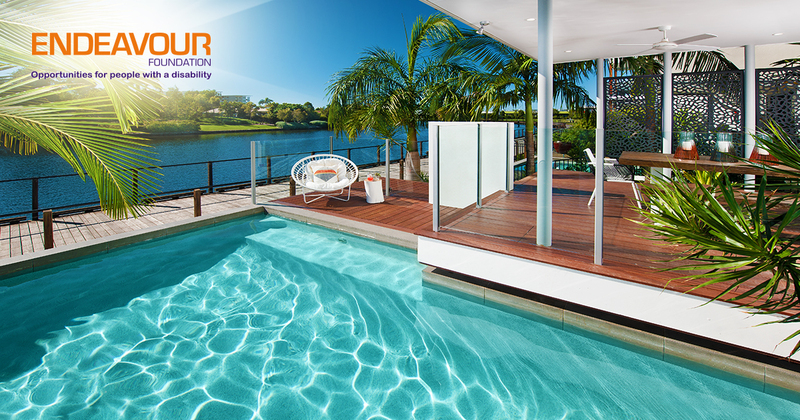 You can enter the latest Endeavour Foundation Lottery Prize Home draw by purchasing your tickets on ozlotteries.com.